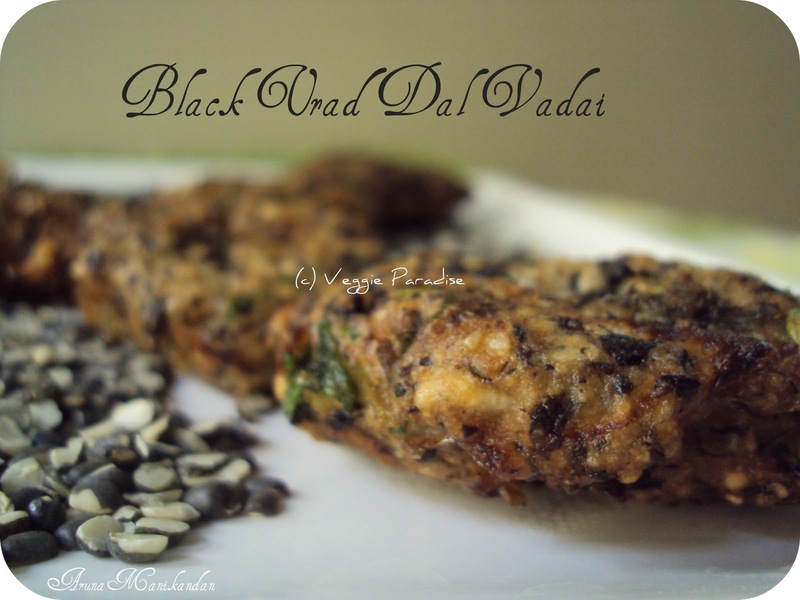 Soak the black urad dal for an hour and grind it to a paste along with the skin by sprinkling water now and then. Chop the onions, green chillies, curry leaves, ginger and coriander leaves finely. Mix the chopped ingredients along with salt to the grinded paste. Heat oil in a pan, wet your palm ,take a small portion of it pat in your palm ,make a hole in the center and drop it in oil. Fry them in medium flame until they turn crispy and golden brown. wow..this looks very inviting ! 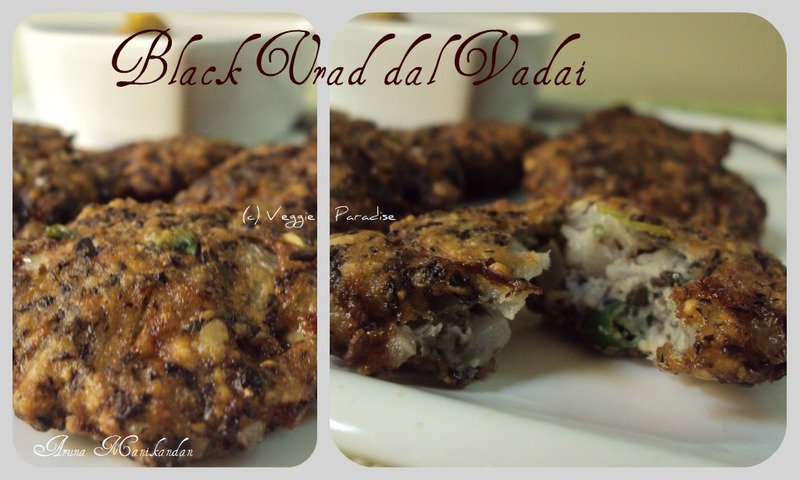 Great looking vadas, i dont bother to munch some.. Healthy twist! The vadais are very tasty and awesome! Must be very healthy,will try it out! Vadas look yummy. Great clicks. Yummy and healthy vadas..looks great. Delicious and tempting vadais ! a nice twist to this Indian Snacks, looks delicious. 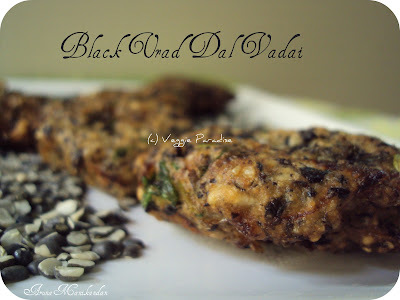 Yummy vadas..Perfect with a cup of tea! My fav one .. now i am so much tempted.. looks so crispy and yummy/. such a unique and yum recipe! Perfect looking vadas..loved your presentation! whole uzhundu potta vadai pathathillai. sounds interesting! wow..this looks v inviting ...neva had this before ...thx for sharing..following u onwards!..lovely space!